You might assume that the Victoria’s Secret models were born with toned limbs, glowing skin, and perfectly tousled hair, but it takes more than a little help to make sure that their bodies look runway (and camera) ready. In the long-term that means gruelling workout plans and strict specialised diets, but in the final 48 hours before the show, the models are subject to a rigorous and meticulously planned backstage beauty routine at the hands of a dedicated #glamsquad. 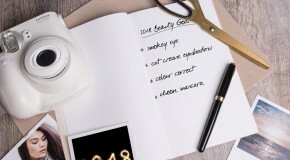 From skin to makeup, nails and hair, no detail is left unmissed. And because modelling underwear means that a lot of skin is on show, ensuring that the Angels have flawless, radiant skin from head to toe is vital before they can step foot on the runway. This vital step is in the hands of a small army of Vita Liberata tanning artists, who last year went through 48 bottles of mousse, 12 tubes of finishing lotion, and 50 tanning mitts to ensure the Angels were suitably glowed-up. For me, fake tan is basically a fast-pass to warm, glowing skin that I apply before a night out, but it turns out that it can be used to correct tan lines, even skintone, and even contour limbs. I spoke to professional tanning artist Clara Anderson, VIP Tanner at Vita Liberata to break it down for you and share the Angel’s secrets. From pre-tan prep to product application, this is how to glow like a Victoria’s Secret Angel all day, every day. Start scrolling. Daily moisturising is part of every Angel’s long-term preparation for tan – doing so trains the skin to retain moisture, and healthy, hydrated skin helps tan to last longer. Extra dry areas (like the feet, knees, and elbows) are given special attention as this skin is prone to absorbing extra colour. 24 hours before tanning, the Angels shave their legs and exfoliate – this creates a smooth canvas that is vital for even development and consistent skintone. Ice is then pressed over their skin to prevent tan from sinking into pores. 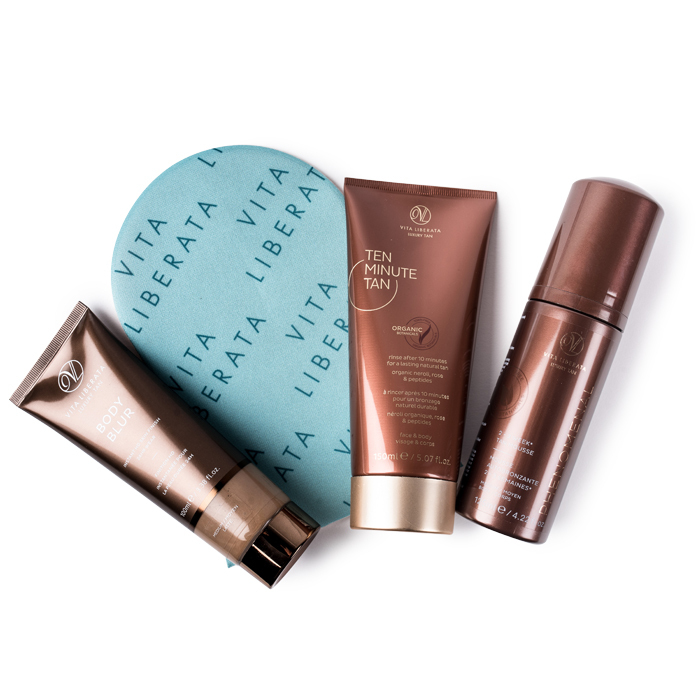 Moisturising is off the cards the day before tanning as it can prevent a barrier to tan, especially if oil-based formulas are used – but Clara advises that all Vita Liberata tanners have a unique moisture locking system that draws water to the skin’s surface to maintain hydration levels. When it comes to the actual act of tanning, mitts are always used. Clara recommends squeezing the mitt once the product has been dispensed – this ensures that colour is evenly distributed across the mitt and won’t go on too heavy when first applied to skin. Applying tan in long, circular motions will also help to prevent patchiness and guarantee an even coverage. As for products, it’s much simpler than you’d think, “You can recreate the angels’ glowing skin easily in just two steps” says Clara, “start with our pHenomenal 2-3 Week Tan Mousse then finish the skin with our Body Blur HD Instant Skin Finish”. The first will create an even and lasting base tan, while the Skin Finish blurs imperfections and acts like a built-in skin highlighter. Part bronzer, part hydrating lotion, and all-round miracle worker, it’s flecked with light reflecting pigments that help to diffuse light for a soft-focus airbrush effect that looks particularly great on camera. 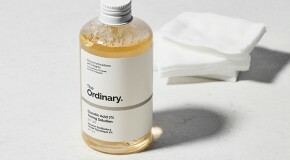 What’s more, the formula also helps to conceal blemishes and imperfections such as cellulite, redness, and pigmentation. Basically PhotoShop in a tube.